With a certificate from the Rutgers Professional Golf Turf Management School -- which is known and recognized worldwide -- doors will open for you. Our alumni work as superintendents or assistant superintendents in almost all 50 states and throughout the world. They also serve as sales managers, building and grounds managers and owners and operators of landscape firms. 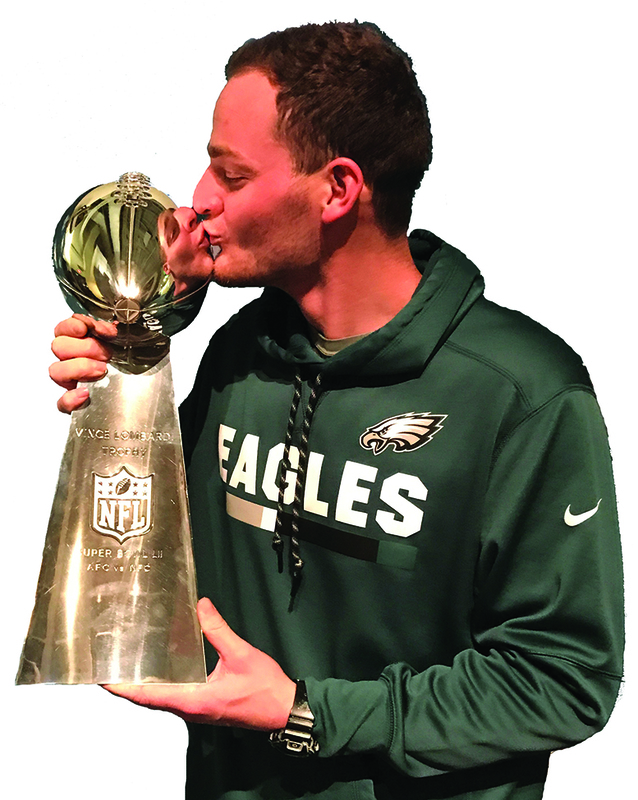 Some #RUTurf graduates have landed their "dream" jobs with major corporations such as the New York Yankeees, NASCAR, or the Philadelphia Eagles (See Rutgers 2-Year Turf Management Certificate Graduate Conor Geisel pictured to the right). Rutgers Professional Golf Turf Management School students work hard in class to learn new information and develop valuable skills. They gain insight and new confidence in themselves and build their own style as managers and leaders. Plus, they learn how to promote themselves as professionals with unique and valuable assets in the job market. Make the extra effort to connect with our network of Rutgers graduates and you too will grow your career. For additional information about how the Rutgers Professional Golf Turf Management School can have a positive impact on your future, visit our turf management jobs website. Click the "Turf Career Info" tab for salary information or read profiles of some of our distinguished alumni under the "Success Stories" tab.